Apple's recent announcement should tempt you if you're wanting to upgrade by September 10! As reported by CNBC, Apple announced last Friday that it’s willing to take your older iPhone off your hands if you want to trade it in for the next generation iPhone, presumably to be announced on September 10. An in-store credit will be issued that can be used toward the purchase of that shiny, new device. The trade-in program – which complements its online recycling program where you can swap your old iPhone for a gift card – is its in-store equivalent of competing with many other popular vendors who offer cash for the trade. Some of these more popular third-party resale vendors include Gazelle, YouRenew, NextWorth, CashforiPhones and the new-to-us-and-slightly-more-competitve Gadgetabulous, as well as the more time-intensive Craigslist and eBay. Let’s also remember the recent announcement by the carriers that they, too, will be competing for your outdated device with their early upgrade programs. Also major retailers like Best Buy, Amazon.com, Radio Shack also have their buy-back programs. So why would Apple want to compete for your used iPhone? Tim Cook’s figures in July suggested that while the iPhone is Apple’s “gateway product,” 80% of those products are sold by other retailers. 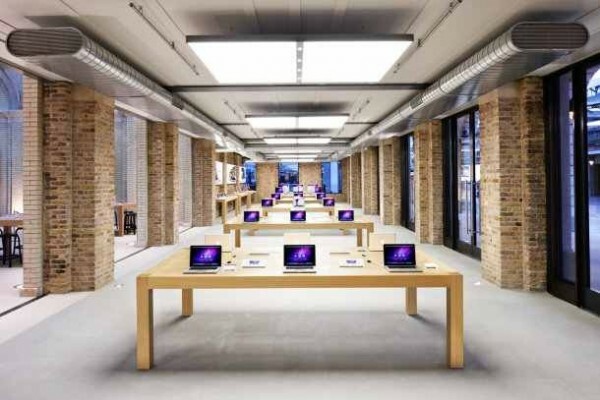 By getting customers into their stores, Apple can expose them to the other product lines of the Apple family. With all the options, it’s a consumer’s market to upgrading if you’re willing to do some comparison shopping. You get so much more money sell it yourself and the fact that “You must” have a upgrade available makes this swap seem pointless. Used Apple phones sell very well in the used market, if you sell it to anyone for $250 and it’s in great shape you’re giving it away. You could easily get $500 at ebay. Depends on the storage size, but yeah, you can get more money selling it on Ebay or Cragslist. However, many people don’t want that hassle. In fact, especially people who are new to selling their year old device–$250-$350 is a steal to them. In addition, the convenience factor is probably the most appealing aspect of all. It definitely boils down to opportunity cost. If I’m willing to spend the time and list it, wait for a buyer, and ship it, I might be willing. If, however, I’m wanting a sure thing, it’s a more reliable consideration.